BUSA90485 Global Business Practicum is an in-company intensively-taught subject where students experience the unique business practices and culture of an international company first-hand. The Global Business Practicum is worth 12.5 credit points and is offered in January, July and November of each year. Students participating in the November intake of the program will travel to London or Hong Kong. Please read on to find out what you could gain from participating in the Global Business Practicum. So what does this have to do with the Global Business Practicum? As well as being an impressive addition to any CV, the primary aim of the Global Business Practicum is to provide graduate students with opportunities to develop and enhance employability skills from application right through to the final assessment and beyond. It is expected that two thirds of all jobs will be soft skill intensive by 2030, so finding opportunities to develop these skills as early as possible is becoming increasingly important. Read about previous Business Practicum student experiences here. 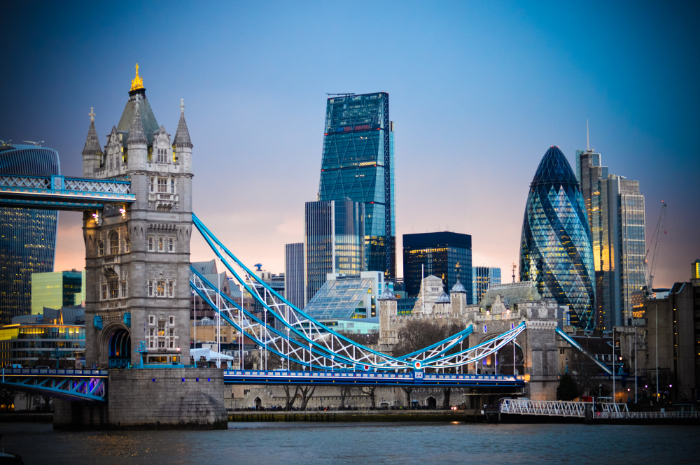 London is a global business hub and one of the most cosmopolitan cities in the world. Being located at a mid-way point between the US and Asian Markets and time zones positions this dynamic city as a global leader in banking and financial services. London is home to 40% of the top 250 companies with headquarters in Europe. Known for its extensive tax, trade, and legal benefits, Hong Kong is a thriving Asian business hub. Hong Kong is the world’s most services-oriented economy; with the services sector accounting for more than 90% of GDP, as well as being the world second largest host and investor of foreign direct investment stock. The business environment in Hong Kong provides a rich learning experience for practicum students. Known as a melting pot of East and West cultures, Hong Kong provides a rich cultural experience in addition to its fast paced business environment. To take part in the Global Business Practicum, please note the following compulsory dates, activities and hurdle requirements. All students who are offered a place in the Global Business Practicum are required to participate in all these activities. If you know in advance that you are unable to commit to one or more of these dates, please do not apply. Please only submit an application for one of the Practicum subjects per intake. Students who apply for both the Global Business Practicum and the Business Practicum during the same intake (e.g. January) will not be considered for either subject. Please note: students undertaking the Master of Commerce (Finance) are generally ineligible to apply, due to limited elective options available in the course. In addition to the standard University subject fee, there is an additional GBP fee between $1600 and $2200. the University of Melbourne also offers a complimentary standard travel insurance. All students who are given a place in the Global Business Practicum and successfully enrol in the subject, who do not receive a Melbourne Mobility Award, will be eligible for the $1,000 Global Business Practicum Travel Grant to assist with costs. I want to take an online intensive subject over the summer/winter break while also completing the GBP (e.g. Ethics in Finance). Is this okay? No, even though the subject is online, students participating in the GBP will not be permitted to enrol in any other subjects that run during the same dates as the practicums. GBP is intensive and requires 100% commitment from students. Can I choose the GBP city? Students can nominate their order of preferences of GBP cities. Nominating only one city may reduce the likelihood of being selected into the program. Can I change my city preference once I’ve been accepted? No, preferences are not able to be negotiated once the offer has been accepted. We base substantial decision making and coordination of arrangements on the nominated preferences. Can I choose my team, the company or type of project? I have family that live in the GBP city. Can I stay with them during the GBP or do I have to stay at the organised accommodation? Students must stay at the organised accommodation due to the intensive nature of the subject and because a lot of the teamwork happens during the evening and late into the night. Can I pay an additional cost and have my own single room? No, package costs have been worked out based on twin share rooms with accommodation secured up to six months in advance. Single rooms are not practical for the remaining students who may not wish to pay extra for a single room, nor can the availability of additional rooms be guaranteed. I have a friend of different gender, can we request to share a room? No, whilst we understand there are close friendships between students, accommodation bookings and package costs are based on twin share rooms. Mixed gender twin share rooms are not practical for the remaining students who may not wish to share with a student of a different gender. Can my partner/friend accompany me while I am taking part in GBP? No, this is an intensive two week for-credit subject which requires you to be available to work with your team for the duration of the program. You can travel with your partner/friend prior to or after the completion of the program. The information session has now passed for the November 2019 program. If you missed the session, presentation slides and the handout are available to download. If you have previously taken either BUSA90485 Global Business Practicum or BUSA90473 (Melbourne) Business Practicum DO NOT apply via the APPLY HERE link below. Please email us at mbs-practicums@unimelb.edu.au, expressing your interest in applying. Should a place become available we will contact you directly.